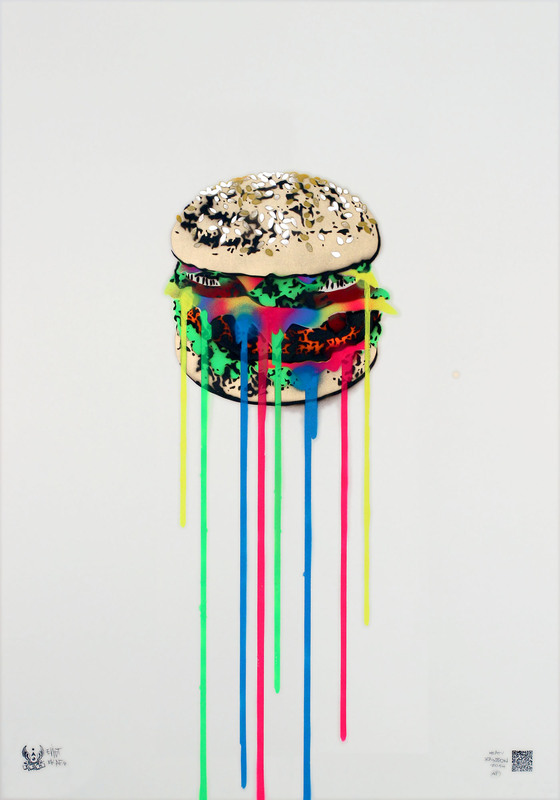 Finally a Burger for the yummy neon food series. Taste the sweet ICED RAINBOW and FROSTED RAINBOW and salty CHEESY RAINBOW treats as well. A fat, juicy, rainbow Burger makes your mouth watering I believe. Stencil with spraypaint 100 x 70 cm, thick paper. Signed but not numbered. It smells like fresh paint.